Globally speaking, the world is moving towards dropping the vehicles powered by fossil fuels in favor of those completely powered by electric energy. While these still have a while to go before most drivers will be making the jump to the new technology (this mainly has to do with their relatively short ranges and making them affordable enough), these are definitely exciting times to be around if you consider yourself to be environmentally conscious. Today, we will be looking at 5 ways the electric car movement is slowly changing the world we live in. 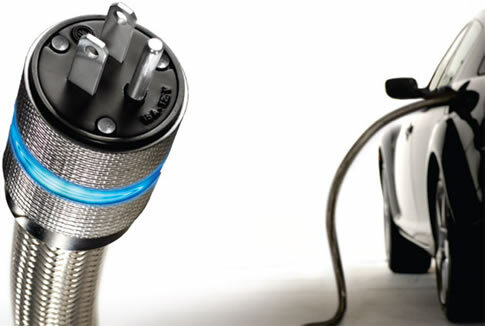 Did you know that electric cars don’t even have an exhaust system installed? This is because they don’t need it – unlike the cars that run on gas, they have absolutely no emissions. While someone may bring up an argument this doesn’t completely apply to all electric cars (namely, the hybrids), even those are generally known to produce much less emissions than regular cars. Now imagine a typical busy city area where cars that run on fuel have a big impact on the air that we breathe. Certain parts of the city are so polluted by the toxic exhaust you can easily tell what’s going on just by being there and trying to breathe through your nose. An unhealthy atmosphere clogged by all the exhaust particles is not merely unpleasant to your senses, it also has an adverse effect on our health. According to the recent health studies, exhaust from cars is the cause of all sorts of respiratory issues and heart problems. Looking at their chemical composition, we encounter things like formaldehyde, carbon monoxide, sulfur dioxide, and a slew of other poisonous chemicals. If you’re exposed to them over a longer period of time, your health will definitely start showing it in one way or another. A significant-enough exposure to car exhaust gases may even end your life. Consistently inhale it for 8 hours straight, and carbon monoxide poisoning is not out of the question. Your head will start to hurt, you will start feeling dizzy, and your cerebral function will slowly start deteriorating. It goes without saying that people who live near major roads and in big cities receive quite a high amount of exposure to it. When the world finally decides to go green (when the electric car technology progresses far enough and the appropriate laws are set in place), we will truly be able to live our lives without all these toxic fumes that are constantly wreaking havoc on our wellbeing. Fuel is not exactly cheap, and this is especially noticeable over longer distances. The more you drive, the more it shows on your wallet and bank account (and not in a good way). Electric energy is much cheaper in comparison, so that alone can be a huge motivator when it comes to making the switch. As can be read at https://www.car-buying-strategies.com/electric-car-wars.html, more than just a single company is working on a consumer-friendly model that will fit most people’s budget, so big changes are on the horizon as far as vehicles go. Another aspect of financial savings associated with electric cars is the fact that they are much cheaper and easier to maintain. Just think about all the components that go into making a petrol engine (gears, oils, injection systems, exhaust systems… you name it). Compared to them, electric cars don’t have anything near as many components, making them much easier to maintain. Even the hybrid cars are quite cheaper to maintain in comparison. Even though they have a petrol engine that requires regular maintenance, their electrical motor needs little to none. There’s a simple explanation for that – it has a much lower number of moving parts in it, and with less wear and tear, the maintenance required is very much on the affordable end of the scale. By looking at the global car sale percentages, it was revealed that electric car sales amounted to just a tiny 1% in the year of 2017. Although this hardly sounds convincing, think of all the government initiatives designed to convince people to buy electric cars. Despite the fact they require quite a hefty investment, which is an entry barrier to a lot of people, a lot of the costs are offset a bit by how much the government is willing to invest in a healthier environment (plus, don’t forget about the long-term savings of being able to run them on much cheaper electric energy). In addition, technology keeps advancing rapidly. One example of this is how cost per kilowatt hour used to be a whopping $1000 just a decade ago, but now, it’s no more than $150. Do you see how big of a difference this is in as little time as a mere decade? Furthermore, the range of electric cars seems to be increasing each passing year as well. This used to be a huge reason why electric cars were simply unsuitable for many people’s needs, but now, some batteries allow for more than 1000 km of distance traveled before needing to be recharged. While no one can know for sure when the revolution is going to hit us in full swing, Nissan made the prediction that 2025 will be the year when conventional and electric cars will cost roughly the same. Combining the affordability with various government initiatives, and there’s hardly going to be a reason for people to stick to traditional fuel vehicles any longer. Since most drivers are likely going to be driving electric cars by 2030, the oil industry is estimated to be put under a lot of stress, as this is bound to have an effect on their bottom line in one way or another. It could be that everything will change in a dramatic way even prior to reaching that year. Countries like Venezuela, Saudi Arabia, Russia, and Nigeria will be hit by this the most. If the daily oil demand goes down from 100 million barrels a day to 70 million barrels a day, the change could be quite dramatic, and this could happen as soon as in 2020s. Just think of all the jobs that are going to be affected by this. Speaking of jobs, remember how electric cars generally require less maintenance compared to petrol ones? Well, this is going to leave a massive footprint in the automotive industry as well. In fact, it’s estimated that by 2030, 600,000 jobs in Germany alone could be affected by the emerging electric car trends. On the other hand, since electric cars are easier to manufacture, there may be additional job openings for those who know their way around robotics and related technologies. For those with the right set of skills (as well as investors), this may create a wide range of business opportunities that did not exist before. Let’s face it – the performance of your personal vehicle matters quite a lot. It’s far more than simply being able to get from point A to point B, since there’s quite a difference between a comfortable ride with a high-performance vehicle and the one that’s mediocre at best. In the past, people did not expect much from electric cars in terms of performance, which is another reason why many still hesitate to make the jump to this new technology. However, due to how far the technology has come since then, these considerations are slowly starting to take on a whole new shape, and the old ones are no longer valid – it’s a completely different ballgame nowadays. Putting it in concrete numbers, an electric car can now reach 60 mph in less than 3 seconds. If that isn’t convincing enough, hardly anything is. Wondering how this is possible? Well, one of the major contributing factors is that electric cars are lighter than traditional ones, and it shows in the acceleration department. The lack of a gigantic fuel engine in these new models also means there is more space in them, so aside from being able to perform so well, they are considered to be extra family-friendly – after all, there is so much you can fit inside of them, luggage and passenger-wise. Finally, comparing them to other cars, they are much more silent, which means noise pollution is not going to be an issue. And who doesn’t enjoy a nice, comfortable, and quiet ride while being able to admire the surrounding scenery? The electric car revolution is going to have a great effect on how the world is going to be turning, and the effects are already starting to be seen. The points we’ve touched upon are only a couple of aspects that are going to be affected by the upcoming technological advances and as time goes on, an increasing number of people will make the switch. At the end of the day, what’s better than caring for the environment and saving money at the same time?